1. V is for our Vegetable garden. We have a large flourishing vegetable garden this year. So far we have had a heap of fresh lettuce and lovely little finger sized zucchinis. The squash is just taking off. Last Sunday's roast dinner included our first roasted beetroot of the season. To quote Oklahoma the musical, "The corn is (nearly) as high as an elephant's eye" and should be ready to pick in a week or so. Now credit where credit is due. I have nothing to do with all this vegetable bounty. The Head of the Household has the green thumb. 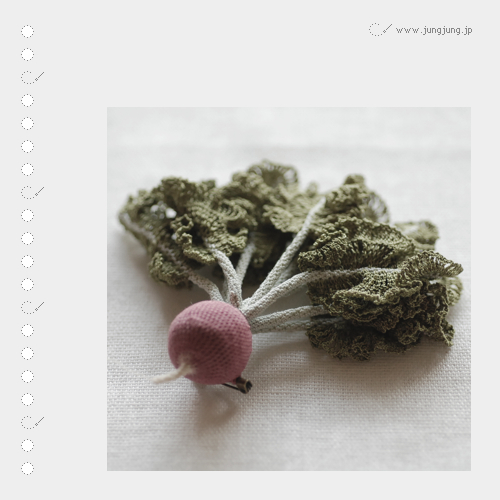 The most I do is pick the occasional vegetable. This year the garden is fenced to keep the chickens out. They were slightly miffed as they have had the run of this area all winter. There is nothing like fresh veggies from your garden. 2. 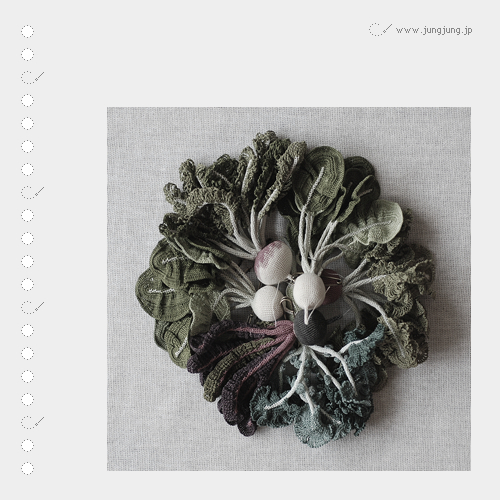 V is for convincing fake textile vegetables. These vegetables are all handmade fiber fakes. 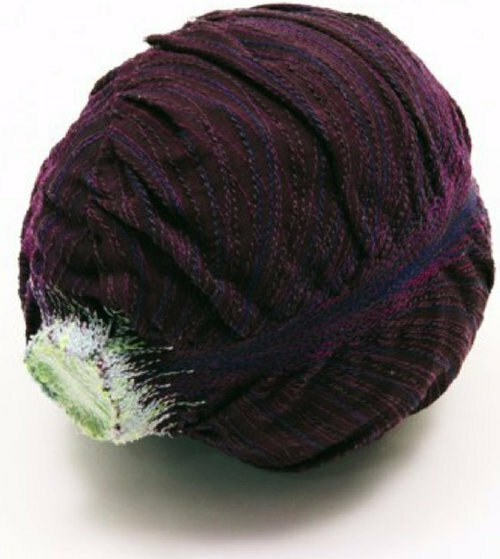 They are crocheted, knitted, sewn and embroidered or needle-felted. 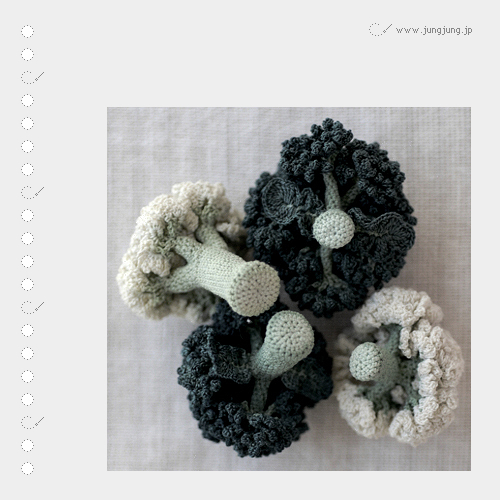 It makes you realise just how beautiful and intricate the humble vegetable is. I can't find the original artist credit for the following set of photos. 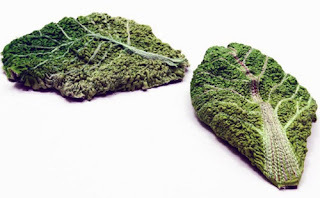 All I can track down is that they are the work of a Dutch design duo Scholten and Bajings for Milan design week. More photos here at Design Boom. 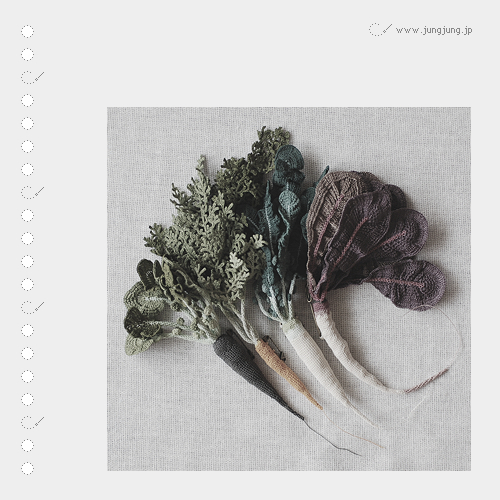 Jung Jung. 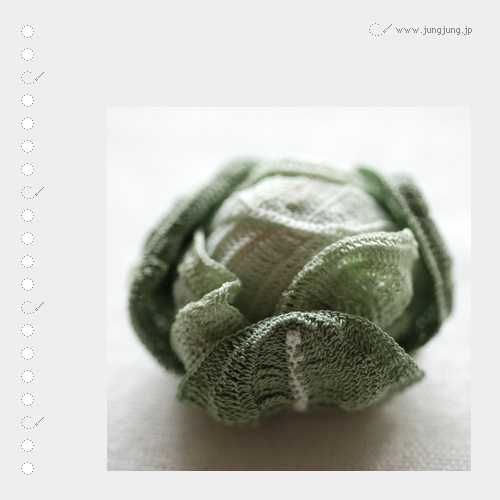 a japanese crochet designer makes the most amazingly intricate crocheted vegetables. A lot of these are designed to be worn as brooches. 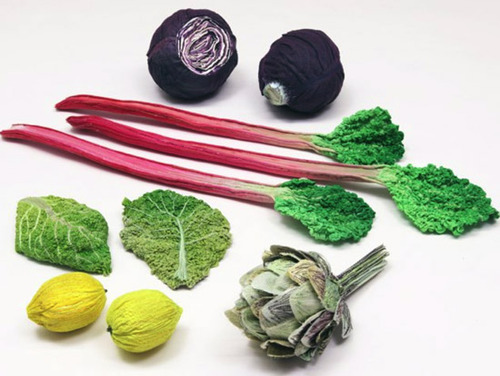 Laura Lee Burch makes needle-felted toys including these play vegetables. 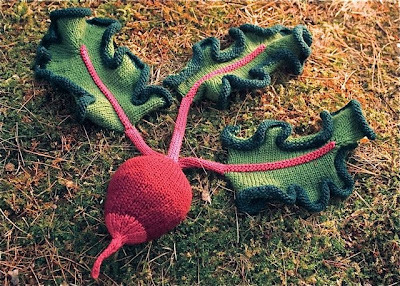 And I just love this knitted beetroot. Do you know that Mr Potato Head turned 60 in 2012? He really doesn't look his age does he? The first Mr. 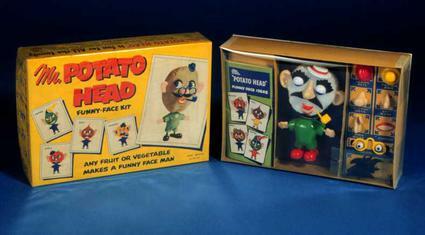 Potato head set hit the shelves in 1952. 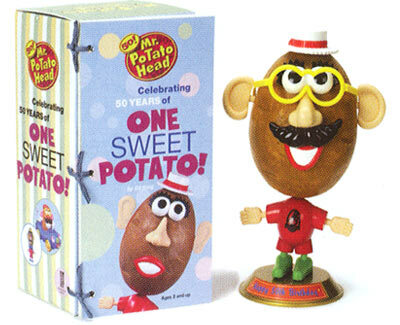 It was a set of facial features you added to your own real potato. Eight years later, Hasbro included a plastic body as well. 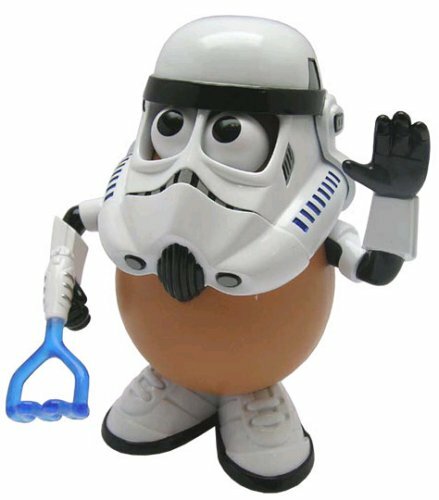 Mr Potato Head can thank his recent surge in popularity to his starring role in Toy Story. There are a few very special Mr Potato Heads at our house. 'Cos Mr Potato Head is secretly a geek who likes to play dress-ups.